What Can I Learn in an Online Master’s in Library & Information Science Program? What Can I do with a Master’s in Library & Information Science Degree? How Much Can I Make with a Career in Library & Information Science? If you love to help others find that crucial piece of information and want to immerse yourself in the science of information, an online master’s degree in library and information science might be a good next step. While this degree is generally geared toward becoming a librarian, there are many careers and numerous institutions that employ those with experience in information science, from traditional libraries, to government agencies to university libraries. Find out what you’ll learn, how to identify a quality program and which schools offer the best online master’s in library and information science programs. A strong master’s in library & information science program will help prepare students for a variety of related careers. It’s important for students to take into consideration their own past experiences, strengths and interests, as well as career plans when choosing a program, since different programs may offer different specializations. Most employers will expect a potential candidate in library and information science to have a degree from an accredited program. Here, we rank the best MLIS programs based on data from the Department of Education, the Integrated Postsecondary Education Data System, as well as the universities’ own published materials. All schools below are accredited. The University of Southern Mississippi offers a fully online Master of Library and Information Science degree. This degree increases professional opportunities for public librarians, school librarians, academic librarians and special collections librarians. It's the only program in Mississippi accredited by the American Library Association and is open to students with various academic and professional backgrounds. To be considered for regular admission, students must hold an undergraduate degree with a minimum GPA of 2.75 and submit GRE or MAT test scores, 3 letters of recommendation and a statement of purpose. Students in this degree program are required to take 25 hours of core courses, such as Reference and Information Sources, Cataloging and Classification, Fundamentals of Information Science and Library Management. Fifteen credit hours of electives like Children's Literature, Archival Theory and Practice, and Information Technology are mandatory as well. To graduate, students must successfully complete the comprehensive exam in the master's research project course and take the archival practicum or library practicum if they have little to no library experience. Master of Library and Information Science students may spend a month in the United Kingdom to earn credits while enhancing their knowledge on historic and modern British libraries, archives and special collections. There, students can learn from distinguished British librarians, archivists and information systems. In addition, students may attend the Fay B. Kaigler Children's Book Festival, which brings together more than 400 teachers and librarians to hear major speakers and participate in a variety of workshops. Lastly, students can choose to earn a graduate certificate in archives and special collections or youth services and literature along with their degree. At the University of Oklahoma, students may pursue an online Master of Library and Information Studies. They can tailor their educational experience to focus on a particular area of library and information studies. Academic leadership, archives, children and young adult services, information organization, information technology, public librarianship, reference services, school library media and special librarianship are all examples of the available specializations. Regardless of which specialization students select, they'll develop the skills and knowledge necessary to manage, store, organize and access information in nonprofit and for-profit environments. This online program uses a variety of technologies such as Canvas, Adobe ConnectPro, podcasts and course websites to provide students with an engaging learning environment. For admission consideration, students must hold a bachelor's degree with a minimum GPA of 3.0 and submit a statement of purpose and goals, a professional resume and 3 references from individuals who are familiar with their academic or employment accomplishments. The Master of Library and Information Studies at the University of Oklahoma is the only master's degree in Oklahoma that is accredited by the American Library Association (ALA). This comprehensive program involves a minimum of 36 hours of coursework and hands-on experience. Its goal is to educate professionals to meet the ever-evolving challenges of the information society. In order to graduate with a Master of Library and Information Studies, students are required to pass an exam, complete a written thesis or compile a portfolio. Many graduates are currently employed in a variety of settings, including public libraries, academic libraries, archives, special collections, government information systems and corporate libraries. At the University of Alabama, students may earn an online Master of Library and Information Studies through virtual sessions that are usually held one night per week from 6:00 p.m. to 8:45 p.m. Central time. This degree is accredited by the American Library Association and designed for students who would like to prepare themselves for leadership positions in library and information service. For admission, students must hold an undergraduate degree with a GPA of at least 3.0 and a minimum score of 300 on the GRE or 50th percentile on the MAT, a previous graduate degree within the last 5 years, or 5 years of work experience in the field. Students who enroll in this program can expect to learn about the uses, organization and management of information in a socially responsible way. They will also find out how information is used for personal, educational and organizational purposes. Since the Master of Library and Information Studies degree uses a cohort model, students share content, work in groups, have discussions with instructors and receive support from a group of peers. The cohort model provides online students with the opportunity to network with their classmates and professors. This 36-credit hour degree involves 18 hours of core courses and 18 hours of electives. Organization of Information, Research Methods and Information Technologies are a few examples of the mandatory core courses. Students in this program who wish to pursue the State of Alabama School Library Media Certification must pass a written exam and take courses that are approved by the Alabama State Department of Education. Graduates with this degree can pursue careers such as archivists, project managers and data analysts. University of Central Missouri offers an online Master of Science in Library Science and Information Services degree. The Master of Science in Library Science and Information Services is nationally recognized by the American Association of School Librarians and accredited by the Council for the Accreditation of Educator Preparation. The main goal of this 33-credit degree program is to help students develop the knowledge and skills necessary to become a librarian in the 21st century. By enrolling in this program, students can learn how to create programs that engage students as they become users and creators of ideas and information. Admission requirements include an undergraduate degree with a minimum GPA of 2.75 and a personal interview. At the end of the program, students will be required to complete a practicum at the school they work at or a local school library if they are not yet working in a school setting. This will allow them to gain hands-on experience and put everything they've learned throughout the degree to use. In addition, students will need to take LIS 6960 Research Problem, which is the last course in the program and intended to give students the chance to explore an area of library science they find interesting. During this course, they may choose to write a literature review or complete an action research project. Regardless of which option they choose, students will be able to become experts in their particular area of interest. It's important to note that students who don't have an initial teacher certification can meet the requirements for one by taking courses that are available online at University of Central Missouri. Graduates of the Master of Science in Library Science and Information Services program are often seen working as elementary, middle, high school or district librarians. Accredited by the American Library Association, Louisiana State University offers a fully online option to earn a Master of Library and Information Science. Students must maintain a minimum 3.0 GPA while completing 36 semester hours of core and elective curriculum. Foundational classes cover the management of information systems, research, organization and information technologies. If you're interested in exploring beyond required coursework, you can choose from 7 specializations including academic librarianship, cultural heritage resource management, adult services in public libraries, digital content management and archival studies. Following degree completion, graduates enter the workforce as archivists, public school librarians, corporate web analysts and records managers. Courses are implemented through the web platform Moodle and online resources such as the library, IT assistance, tutoring and career services will help you through your studies. The Virtual Lab allows students to utilize software that would be found in the computing labs on campus. Every online learner is matched with an enrollment specialist, who helps to navigate the application process, registration and financial aid opportunities. In-state and out-of-state enrollees pay the same tuition rates. There are around 20 scholarships granted each year for students within the School of Library and Information Science. Awards are also available to offset the costs of traveling to conferences or other professional events. Program eligibility requires the submission of a resume and proof of a 3.0 grade average in undergraduate work. You must also write a statement of purpose explaining your intentions for pursuing the program, as well as outlining your professional goals. 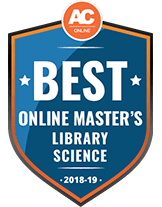 Built to produce skilled school librarians, the master of library sciences degree from Sam Houston State University is an online program for professionals in various stages of their career. The program can accommodate first-time graduate students without any certifications, as well as Texas-licensed teachers with at least 2 years of experience under their belts. Experienced teachers will be able to test for the school librarian certification exam in Texas after successfully completing the MLS degree requirements. All library science students are expected to complete a culminating portfolio to be analyzed for degree completion. The program consists of 36 credit hours and has 3 different start dates throughout the year. To gain entry into the MLS program, all students need to fulfill the requirements on SHSU's graduate school application and should have at least a 3.0 GPA. For students whose cumulative GPA falls below this standard, SHSU evaluates the students GPA for the most recent 60 credits earned. All online graduate students at SHSU pay the same cost per credit no matter what state or country they live in and also see a cheaper tuition rate than graduate students attending campus classes. As the MLS degree is offered through SHSU's College of Education, graduate students have a number of scholarship opportunities available to them through the department. All degree programs offered through the college of education are accredited by the Council for Accreditation of Educator Preparation. Appalachian State University provides an online master of library sciences program geared towards certifying public librarians and media coordinators within the state of North Carolina. The MLS degree is an online program, requiring a 2-year commitment for study. Each week, students log-on and engage in a live class with their peers and professors, lasting 3 hours. In addition to synchronous learning, students complete class assignments from home when it fits into their schedules. Students will earn 36 credits for graduation and are not required to construct a thesis or dissertation. Instead, students undergo an internship experience, working alongside established library professionals. Students interested in the MLS degree must first apply to ASU's graduate school. Applicants can have a bachelor degree in any area, but must prove strong academic standing. Those with at least 3.0 GPA meet the minimum entrance criteria. Students with a 2.5 to 2.99 GPA and exceptional standardized test scores may also be accepted. All applicants must have recent (within 5 years) GRE, GMAT or MAT scores. Accredited by the Council for Academic Educator Preparation and endorsed by the American Association of School Librarians, the MLS program satisfies the requirements for 2 state certifications in North Carolina. Graduates with an existing teaching license can apply for the media coordinator license, while those without a teaching license may apply for the public librarian certification. To help make college more affordable, distance learners at ASU are not subjected to campus-related fees that traditional students face. In-state and out-of-state tuition are not equal, and North Carolina residents can benefit to more budget-friendly rate. At Texas Women's University, graduate students have several avenues to travel that lead to a profession in library sciences. The university offers an online master of library science degree, or a master of arts in library science degree, with 8 possible concentrations to choose from. Graduate students can realize a career in areas such as pubic, school, health science or academic libraries, or can choose to study the technical side of librarianship with a concentration in information technology, community informatics or cataloging. Accredited by the American Library Association since 1938, TWU's MLS program is comprised of 24 core credit hours plus 12 elective credits. As part of graduation requirements, all students undergo a practicum course demanding either 120 or 160 hours spent in an unpaid internship. Students perform their practicum in a setting that suits their education path and get the chance to learn from experienced librarians. Students also create a comprehensive portfolio that is evaluated as part of the student's final exam. Prospective graduate students interested in the program should have transcripts with at least a 3.0 GPA, resume and recommendation letters to accompany their application. International students and those who don't meet the GPA requirement must submit scores from a standardized test, such as the GRE as evidence of academic strength. To ease the cost of tuition, TWU offers a scholarship opportunity specific to library science students. Students are also encouraged to seek out scholarship awards from the Texas Library Association or the American Library Association. Offering diverse courses of study within the realm of librarianship, the master of science in library science degree program at the University of North Texas preps graduates for careers in areas such as music, law and information technology. The program has 8 specializations available so that students can earn the education appropriate to their professional goals. This includes school library studies and general studies as well as information organization and imaging technology. The core courses required by the MSLS degree are offered online and in person, as well as blended options. All tracks of the library science program do require student attendance on campus for 3 separate occasions; therefore, the program cannot be completed entirely through distance learning. In addition, students are expected to gain experiential learning in order to graduate from the program. To accomplish this, students can opt for spending 6 months working in a position related to their field or they can complete 120-hour internship experience that is unpaid. As the last semester draws to an end, students take a final examination before their degree is granted. Interested applicants don't need to take graduate school exams or have prior work experience in the field. Applicants must have at least a 3.0 GPA reflecting their most recent 60 college credits completed or a cumulative 3.0 GPA. As college costs rise every year, graduate students at UNT can take advantage of scholarship opportunities offered from within the university. Students coming from diverse educational sectors can begin a career in library sciences at Chicago State University. The school offers a master's in science program in library and information sciences with 4 specialization options. The MSLIS degree can be earned with a concentration in school libraries, public libraries, archives and record management or academic libraries and is provided in a hybrid format. Depending on the track selected, more than 50% of coursework may be completed online, with the remaining fraction requiring in-person class attendance. Currently the program is seeking accreditation from the American Library Association and chooses to follow the ALA's guidelines for graduate library studies. As such, the program requires the completion of 15 core credits, 15 to 40 concentration credits, and between 4 and 7 credits of a capstone project. Throughout their library sciences education, students work towards the completion of their dissertation in the field. To gain acceptance to the program, students must apply to CSU's graduate school after earning their bachelor degree in any discipline. Additionally, students need a cumulative GPA of 3.0 or higher when measured over the last 60 credits completed. Prospective librarians interested in the school libraries concentration can opt for a path to initial educator licensing in the state of Illinois, however this requires fulfilling student teaching standards and testing. Already licensed teachers can proceed to earning a library information specialist endorsement with the MSLIS degree. As a hybrid program, students have access to the same on-campus resources as traditional students such as career and academic advising, financial aid assistance and tutoring. Graduate students at San Jose State University can earn a master's degree in library and information science (MLIS) without ever commuting to campus. The MLIS program is open to future librarians worldwide and the majority of coursework can be completed during the student's available time. Certain assignments and presentations however, may require streaming in real time. While the program swivels around core classes, students are able to study for the career they want by choosing the corresponding elective courses. Students enrolled in the program have access to public discussion forums, individualized advisement from faculty, and internship opportunities, all provided by SJSU entirely online. To be accepted into the MLIS program, students must have earned a bachelor degree with a minimum 3.0 GPA in any academic field. Applicants don't need to complete a standardized test such as the GRE, but must have the appropriate computer software and internet access. To successfully graduate from the program, students compile either an e-portfolio or write a thesis statement that summarizes the education garnered throughout the course of study. Students can complete the 43-credit program in as few as 4 semesters or as many as 7. The university estimates that students in the MLIS program spend at least 3 hours per week on classwork for each credit hour. Certain candidates are eligible for tuition discounts at SJSU. Veterans and their families can apply for tuition waivers as can employees of the California State University system. At the University of South Florida, students may take a Master of Library and Information Sciences (M.L.I.S.) degree entirely online. This 39-credit program is available in 2 concentrations: a general library and information sciences track and a school media/youth services emphasis. Both programs lead students to earning Master of Arts degrees. The degree requires students to complete at least 120 hours of supervised fieldwork following their 39 credit hours, although students in the school media/youth services concentration who work as school librarians or already have some professional experience in school libraries may substitute this fieldwork with electives instead. In order to obtain the degree, students work throughout the program to assemble e-portfolios containing the best, most polished work from their courses that demonstrates student learning and applications to the profession. Students must maintain B or better averages in their courses, and prospective students who submit applications should show incoming undergraduate GPAs of 3.25 or incoming graduate GPAs of 3.5. Conditional admission may be granted to those who do not meet these GPA requirements, upon submission of an academic writing sample, a statement of purpose, 3 letters of recommendation and a GRE (156 Verbal, 141 Quantitative) from within the last 5 years. Candidates may also wish to submit resumes, which aren't required but are encouraged. Though online graduate students at USF are charged additional distance-learning fees, tuition per credit hour is the same for in-state and out-of-state students. Online USF students gain access to Handshake, a job search tool, as well as job leads and job search tips. North Carolina Central University offers a 36 credit hour, 100% online Master of Science in Library Science (M.S.L.S.) degree. The program is accredited by the American Library Association, and it's intended to train students for careers in school, public, health sciences or academic libraries, or for careers that involve using instructional media or archives management. The program is available in 7 concentrations: academic librarian, archives and records manager, digital librarian, law librarian, public librarian, school media coordinator or special librarian. Students work with their academic advisers to create individualized degree paths. All M.S.L.S. students are required to take 6 core courses in general library science topics, which include a research methods course. The remainder of the program involves a combination of electives and specialization courses that the student, under the guidance of an academic adviser, chooses from among a series of options. The program takes a minimum of 2 years to complete, and it must be completed within 6 years. In order to successfully graduate, students must complete all coursework while maintaining cumulative GPAs of at least 3.0. To apply, interested students should submit proof of having earned their bachelor's degrees, official transcripts showing GPAs of at least 2.75, 2 letters of recommendation, a resume or CV and a 700-800 word statement of purpose. No GRE scores are required. Once admitted, online students may take advantage of an Online Learning 101 introductory course, online tutoring, counseling services and career-planning help, as well as special career resources for military veterans. The University of Kentucky offers a fully online Master of Science in Library Science (M.S.L.S.) degree. It's comprised of 36 credit hours and delivered asynchronously, so that students may access courses at any time rather than times that are designated by the school. Thought the program may be completed entirely online, students do have the option to take some classes in a traditional classroom setting if they wish. Accredited by the American Library Association, the program offers students the option to select from 6 concentrations, depending on their career aspirations or preferred work settings: academic libraries, health information, information technology and systems, public libraries, school libraries and youth services and literature. The school libraries concentration has a unique degree plan, as it prepares graduates for licensure as a Kentucky school librarian. Additionally, a generalist option is available for students who wish to study subject matter across all 6 concentrations; an adviser works with these students to customize a path for progression through the program. An option to expedite the degree and complete it in less than 2 years is available to students as well. Students who are earning M.A. degrees in UK's Department of Modern and Classical Languages, Literatures and Cultures may also choose to earn a dual degree with the M.S.L.S., so that 9 credit hours would be shared between the 2 degrees (with director approval). M.S.L.S. students have the following options availablie during their program: a practicum, in which students earn credit hours for field experience; study abroad; and a chance to participate in a spring break internship in Washington, D.C. To apply, a prospective student should submit an online applications, GRE score, transcripts showing an undergraduate GPA of at least 3.0, a personal statement of 200-300 words that explains why he or she is interested in the program and describes the student's career goals, 3 letters of recommendation and a current resume or CV. Online students pay the Kentucky resident fee per credit hour, regardless of location. Enrolled students benefit from such resources as online tutorials, videos and guides as well as advisement and counseling for students struggling with emotional issues. The online Master of Arts in school library studies degree at University of Northern Iowa is designed to prepare currently licensed teachers to earn the K-12 teacher librarian endorsement in Iowa, to oversee school libraries or library programs, to become specialists in technology as it pertains to literacy and to encourage and support the love of reading among students. The program is structured in accordance with the American Library Association and American Association of School Librarians standards, and courses are designed using standards set by Quality Matters, a third-party quality assurance program that has established best practices for online course design. This 33-credit M.A. program is taught entirely online with the exception of one in-person Saturday class taught early in the program. Courses are synchronously delivered by video once per week. Students enroll and progress through the program with a cohort of students who complete the coursework together in a prescribed sequence. Toward the end of the program, students complete a practicum and a final research paper. Only currently licensed teachers may be admitted to the program. The application package includes transcripts showing an undergraduate GPA of at least 3.0 (provisional acceptance may be given if the GPA is 2.75-2.99) and successful completion of a writing test. Once students are admitted, they are each assigned a faculty adviser who works one-on-one with the student on an ongoing basis as he or she progresses through the program. Other support services for distance-learning students include an online graduate student orientation, technical support and a host of online tutorials and guides. The online Master of Library & Information Science (M.L.I.S.) degree at Kent State University is the only program in Ohio that is accredited by the American Library Association. It's offered fully online with no requirement for on-campus activity. On its own, the program offers students 14 potential concentrations, including: academic librarianship, archival or special collections librarianship, cataloging or metadata, and digital librarianship/digital initiatives. However, students also may opt to make the M.L.I.S. part of a dual degree program, in which the student would pair it with 1) a bachelor's degree in L.I.S. ; 2) a Master of Science in another relevant subject area master's degree (for instance, art history) so that the 2 degrees would share up to 12 credits; or 3) an M.B.A. or Master of Education, 2 programs allowed by the school to share many more than 12 credits for a dual-degree completion. Students interested in this program must enter with prior cumulative GPAs of at least 3.0 for all coursework in their highest completed degrees; a student with a GPA lower than this may submit GRE scores for consideration. Admissions requirements may vary according to the student's preferred concentration, but typically they include official transcripts, 3 letters of recommendation, a resume or CV and a statement of purpose essay. Online students receive access to a number of supportive services, including a 24/7 helpdesk and online access to the library and its tools. Western Kentucky University offers a variety of online master's degrees, and these may be delivered 100% online without any requirement for campus visits. However, because WKU has 4 brick-and-mortar campuses, online students may choose to incorporate classroom-based courses into their programs if they'd like. WKU's online Master of Science in Library Media Education is nationally recognized by the American Association for School Librarians. This 30-credit-hour program (which is followed by a 3-hour research component) is intended to prepare education professionals to become specialists in library media, educational technology, information services or training and development. Graduates may receive Kentucky certifications for P-12 School Media Librarian with LMS focus, and those with prior teacher certifications may use this graduate degree to achieve Rank II and Rank I salary statuses. However, those who already don't have teacher certifications must do so through approved teacher-education programs. Students may earn this M.S. degree in 1 of 2 concentrations: library media specialist (LMS) or educational technology. The LMS concentration is intended for those wishing to work in libraries, media centers, schools or university libraries, and it meets requirements for the state's Department of Library and Archives' Professional Certificate II for aspiring public librarians. The educational technology concentration is designed for those interested in the use of technology to assist with instruction, perhaps as education technology specialists or trainers in school settings. Certified teachers who receive this degree may earn the Instructional Computer Technology Endorsement P-12 upon graduation. With their applications (on which they must indicate their concentration of choice), prospective students must show evidence of having earned minimum GPAs of 3.0 in their last 60 hours of coursework. Additionally, each student must provide a letter of application detailing his or her background, goals and aspirations; a current resume or CV; 2 letters of recommendation; and a writing sample of at least 3 pages to demonstrate writing skills. Students who also wish to earn their initial or advanced teaching certifications as part of the program should observe the requirements for the WKU Graduate School and submit qualifying scores on either their GRE or PPST exams. Students attending WKU fully online never pay out-of-state tuition rates. Those wishing to pursue hybrid options will be charged out-of-state tuition rates if they apply to the student. Kentucky's certified teachers also qualify for a discounted per-credit-hour rate. Enrolled online students receive certain online services designed specifically for their needs, including an orientation, tutoring, writing or math help, coaching on presentations, and tutorials and articles to improve academic success or study skills. East Carolina University offers an online Master of Library Science that is accredited by the American Library Association. This 39-credit program is created for students who hope to work as library and information professionals in schools, community colleges, universities, public libraries and similar environments. The 3 concentrations students may choose from include academic library, public library and school library media. To be considered for this program, students must hold a minimum undergraduate GPA of 2.7 and submit their official transcripts as well as test scores on the GRE or MAT. Letters of recommendation and written statements of purpose are also encouraged. Students who enroll in this program can expect to take courses such as Library Administration and Management, Organization of Information or Research Literacy in Library Science. There is also a required professional internship course that allows students to work in at least 2 library settings under the supervision of a librarian or university supervisor. Students may join East Carolina University's chapter of the American Library Association and gain access to networking opportunities and guest speakers through the organization's online meetings. Students who participate in the American Library Association can also assist with the "Give the Gift of Reading," an annual book drive that focuses on donating books to organizations throughout North Carolina. After graduating with a Master of Library Science, students will have a thorough understanding of the principles and technologies of library science. They will also be able to meet the information needs of a diverse range of individuals and groups. Many graduates are seen working as librarians, library directors and archivists. Students at the University of Wisconsin-Madison may enroll in the Master of Arts in Library and Information Studies. This program is accredited by the American Library Association, features small class sizes and can be completed entirely online. Students may concentrate in librarianship, archives in a digital age, data/information management and analytics, UX and information technology or information organization. Students can also complete a double degree in law, art history or music by taking additional courses. Additionally, students may pair their degree with an innovation and organizational change or leadership certificate. Those who are interested in learning more about this program can attend a webinar information session in October. The minimum admission requirements for the Master of Arts in Library and Information Studies include a bachelor's degree from an accredited institution and an undergraduate GPA of at least 3.0. This 39-credit hour degree includes a required practicum course, which gives students the opportunity to gain real-world experience in library and information studies. Students may also complete internships at libraries and become involved in library-related student organizations. At the start of the program, students must take a face-to-face orientation bootcamp so they can learn how to become effective online learners. They will find out how to access interactive learning assignments, discussions, group projects and meetings. While some students are enrolled full-time, others opt to complete this degree on a part-time basis. Graduates of the Master of Arts in Library and Information Studies typically work as media specialists, archivists, information brokers and library directors at a variety of organizations. Offered at the University of Maryland is a Master of Library and Information Science degree. This degree is accredited by the American Library Association and can be completed online, in person or in a combination of both. Students who would like to pursue this program are required to have a minimum GPA of 3.0 in all previous undergraduate and graduate coursework and a bachelor's degree from an accredited institution. They should also submit 3 letters of recommendation and a resume. To graduate with a Master of Library and Information Science degree from the University of Maryland, students must complete 36 credit hours with a minimum GPA of 3.0 within 5 calendar years from the date they register for their first semester. A few examples of the courses included in this program include Serving Information Needs, Achieving Organizational Excellence and Creating Information Infrastructures. Unless they decide to complete a thesis, students are required to undergo a field study and gain internship experience in library and information science. Online students may specialize in diversity and inclusion, school library or youth experience. Students may also design their own course of study through the Individualized Program Plan. In addition, students who hope to pursue a career in research may earn a Certificate in Museum Scholarship and Museum Culture by taking 12 additional credits. Most graduates land positions in public libraries, nonprofit organizations, information technology, school libraries and museums. They can be seen working for the Library of Congress, the Smithsonian Institution, National Geographic and other well-known organizations. Students at the University of North Carolina at Greensboro may pursue a Master of Library and Information Studies online. This 36-credit-hour program is accredited by the American Library Association and is known as the oldest Library and Information Science program in North Carolina. While most courses in this degree are distributed synchronously and feature scheduled webinars, there are some courses that do not have a designated time and can be completed at a student's convenience. Students who are interested in enrolling in the Master of Library and Information Studies program are required to submit official undergraduate transcripts, GRE scores, 3 letters of recommendation, a personal statement and resume. Academic advisers are available to assist online students in designing their ideal plan of study and may even help them find a job after graduation. Online students can also benefit from streamlined online events like orientation, career day and virtual practicums. To graduate with a Master of Library and Information Studies from the University of North Carolina at Greensboro, students must complete 5 core courses, 1 technology course, 1 capstone course and several elective courses. Students who hope to pair their degree with a school library or instructional technology license must meet additional requirements; these students will take more required courses and less electives. Regardless of whether students pursue licensure, they will become well-versed in information ethics, archival management, information resources management, and database evaluation and utilization. Master of Library and Information Studies graduates can be seen working in diverse environments such as public libraries, schools, businesses and nonprofit organizations. At Valdosta State University, students may earn a Master of Library and Information Science. The majority of courses in this program are online and are taught through the BlazeVIEW learning management system. The Master of Library and Information Science was designed for busy students with jobs and/or families who hope to pursue careers in academic, public or special libraries. By completing this degree, students will understand how to meet the current and future needs of libraries, use research to improve the function of libraries and conduct various administrative and technical library functions. Official undergraduate transcripts as well as GRE, MAT or GMAT scores must be submitted for admission consideration. Students who enroll in this program can become experts in organizing and retrieving information and specialize in cataloging and classification, library management, reference sources or services and technology. The Master of Library and Information Science consists of 39 credit hours that involve core courses such as Foundations of Library and Information Science, Online Searching, and Management of Libraries and Information Systems. All students must complete a capstone course, which is taken in their final semester and gives them the opportunity to create a professional development plan and enhance their writing and communication skills. Full-time students can complete this program in 2 years, while part-time students who are in need of more flexibility can earn this degree in 4 to 6 years. Master of Library and Information Science graduates are frequently seen working as archivists, business librarians, children's librarians, corporate librarians, information analysts, library directors and information services coordinators. A Master of Library and Information Science degree is available at Indiana University. This degree, accredited by the American Library Association, can be completed entirely online. It is designed to teach students how to pinpoint the information needs of a variety of users, manage information resources, research effectively and lead libraries and other information organizations. Introduction to Archives, Data Curation and Management, and Computer-Based Information Tools are a few examples of the core courses students are required to take. While some students opt for the general degree, others choose to specialize in academic librarianship, digital curation, public librarianship or adult services, school library, technical services, technology management or youth services. Students may also pair their Master of Library and Information Science degree with a Master of Arts in History, Master of Arts in Philanthropic Studies, Master of Science in Health Informatics, Juris Doctorate in Law, a Nonprofit Management certificate or a Public Management certificate. Since these programs share some courses, students are able to complete 2 degrees or certificates at the same time. Indiana University's School of Informatics and Computing provides Master of Library and Information Science students with opportunities to attend career fairs, complete internships and find positions in their field of study. Following graduation, students may become digital collections librarians, media specialists, teen librarians, library directors, information architects or curators. Graduates can also be seen assisting patrons, writing grants, developing data research tools, creating library technology plans and websites, and preserving digital information that can be easily retrieved. Emporia State University offers a Master of Library Science that is accredited by the American Library Association. This program is designed to help students solve problems creatively while meeting various information systems needs. Prospective students may apply by submitting their official undergraduate transcripts that show a minimum GPA of 3.0, 2 letters of reference, a resume and a statement of objectives, which discusses why they are interested in the Master of Library Science. Although some courses in this program are offered online, others must be completed in person. Most students are in class 4 to 6 weekends per semester. The minimum amount of time that students can complete the Master of Library Science degree is 4 semesters or 16 months. Since this is a cohort program, the same group of students walk through the curriculum together and develop a professional network they can take advantage of after graduation. This 36-credit-hour degree consists of core courses such as Foundations of Library and Information Science, Collection Development, and Research in Library and Information Science. In addition to 22 credit hours of core courses, students must complete 14 credit hours of electives and 3 credit hours of a technology course, like Web Design and Development, Information Technology and Database Design. Students enrolled in this program may choose to concentrate in archives studies, informatics, leadership and administration or youth services. In addition, they may join Emporia State University's chapter of the American Library Association, which gives students the opportunity to network, improve their resume, gain valuable interview skills and participate in library tours. At Florida State University, students may enroll in an online Master of Science in Information degree that is accredited through the Southern Association of Colleges and Schools and the American Library Association. The Master of Science in Information is delivered through an online learning platform called Canvas, which allows students to access course materials, assignments, exams and discussion boards. This degree involves 36 credit hours and courses that focus on information architecture and technology, information needs and services, and youth information needs and services. Students may choose to specialize in general librarianship, information organization, leadership and management, reference and instruction, school media, technology and networking, web design or youth services. They may also work with an adviser and design a program that is ideal for their career goals. A few examples of the core courses in this degree include Foundations of the Information Professions, Research in Information Studies and Introduction to Information Policy. All courses in this program meet 1 night a week on Monday, Tuesday, Wednesday or Thursday from 6-8 p.m. ET or 8-10 p.m. ET. In order to graduate with a Master of Science in Information, students must complete all courses within 7 years from the first time they register for the program. Florida State University encourages students to take 2 courses, a total of 6 credit hours, every semester so they can complete the degree in as few as 6 semesters or 2 years. After graduating with a Master of Science in Information, students typically pursue careers as technical service librarians, youth librarians, information architects, digital archivists or marketing analytics specialists. Master’s programs in library & information science have quite a lot of variability in curricula and required courses. Students will generally learn a variety of topics including information science, computer science, database and website design, information architecture, reference work, archiving, cataloguing and more. Students may also have the option to pursue a specialization in library science, such as focusing on research or focusing on library management. What common courses are offered in a master’s in library & information science program? This class introduces students to the Dewey decimal classification, Library of Congress subject headings and machine-readable cataloging (MARC) format. Coursework includes major concepts in cataloging and classification as well as historical overviews of prominent figures and trends and the role and use of technology. Current topics in cataloging and classification are discussed. Students typically perform hands-on work. This class introduces students to the concepts behind building and maintaining collections of library materials. Various collection development tools are introduced, along with practices for managing print, electronic and audiovisual media collections. Students may also discuss challenged materials, budgeting and working collaboratively. This course introduces a selection of technologies that working librarians are likely to encounter in the field. Students generally complete projects that involve planning, budgeting, implementing, measuring and evaluating various technologies. Topics include telecommunications, computer networking and troubleshooting, social media networking and internet technology. This class examines information users and the social, cultural, economic, technological and political forces that shape their information access and use. The different resources and services that information professionals provide for their user communities will also be addressed as well as ethical/legal professional practice. This course explores the organizations and environments in which information professionals work. This course explores different specializations and career paths, professional communities, networks and resources, ethical and legal frameworks. This course also introduces management and leadership theories and concepts and applies them to different information environments. A special focus is placed on management responsibilities in order to emphasize the importance of these skills in the professional workplace. Many MLIS programs will require a thesis or capstone project or practicum (internship) to complete the degree, depending on the area of specialization. To complete the degree, students will also need to pass the MLIS Comprehensive Exam, a written exam, which takes place on a single day, over multiple hours. What specializations are available in a master’s in library & information science program? Here are the most common specializations for a master’s in library & information science. All of these specializations fall under the MLIS degree. This specialization covers how libraries collect, preserve and organize special collections of text and digital media. Students with this specialization may be considering careers as an archivist, records manager or registrar. This specialization covers materials and services specific to young children, including literature, storytelling and public school libraries. Students with this specialization may be considering careers as a public school librarian or the manager of a children’s department within a public library. This specialization covers the use of data within libraries and other organizations. Students with this specialization may be considering careers as a data curator, information architect taxonomist or digital asset manager. There are a wide range of careers that a person can enter with a master’s in library & information science, most of them involving a love of research, fluency in research and information systems and a willingness to help the public. Libraries of all kinds require department heads, branch managers and various types of directors, who are responsible for the operation of departments and/or library branches. Responsibilities for these sorts of jobs may include: work schedules, employee evaluations, training and managing budgets. Some may also oversee facilities, or work in public outreach with the community. Additional courses for this specialization may include such topics as: The Public Library, Marketing the Library, The Academic Library, and The Special Library. ‍These librarians, similar to the reference librarian, are here to help people. They may offer homework support and help with research questions, as well as play a role in purchasing and discards of library holdings, lead programs and training, help patrons use the Internet and more. Even more specialized public librarians may be in charge of various computer systems, work with seniors and non-English speaking populations or offer expertise in a specific subject area. Additional courses for this specialization may include such topics as: Information Sources and Reference Services and The Public Library. A related field, sometimes called museology, encompasses the ideas, information and issues involved in the museum profession. Like libraries, museums deal with a great deal of information and must catalogue, exchange, and share that information not only internally but with the public, and other museums and academic institutions. Students interested in pursuing a Museum-related information science degree may need to take such courses as: Foundations of Museum Studies; Museum Collections; Museum Communication; Museum Users; and The Museum System. These librarians are specialists in collections, resources and information pertaining to children up until about the age of 12-13. Children’s librarians generally have special knowledge of children’s literature. Some may even be trained as storytellers, as many libraries offer story times. A children’s librarian will also develop and maintain children’s programs such as a summer reading or early literacy. Students who wish to pursue this specialization may need to take additional courses such as: Library Materials and Services for Young Children, Library Materials and Services for School-Age Children or Reference Sources and Services for Youth. Not all libraries are brick and mortar. A digital library holds most of its resources in digital format (as opposed to print or microform) and is typically accessible by computers and devices with internet access. Digital content may be available through a local institution or accessed remotely via the internet. Additional courses for this specialization may include: Introduction to Digital Preservation, Metadata Architectures and Implementations, Digital Libraries and Implementations of Digital Libraries and Digital Image Processing and Collection Management. An affiliate of the American Library Association (ALA), LLAMA focuses on library and information science and supports library professionals with the tools they need for building and maintaining careers in library services. The Association of College & Research Libraries (ACRL) is a higher education association for librarians. They represent more than 10,500 academic and research librarians as well as individuals, to develop programs, products and services to help academic and research librarians learn, innovate and lead within the academic community. The American Association of School Librarians (AASL) is the only national professional membership organization focused on school librarians and the school library community. AASL has more than 7,000 members and serves school librarians in the United States, Canada and around the world. Founded in 1936, The Academy of Management is a worldwide professional association for management and organization scholars. Members are often professors and graduate students in academics. Many industries rely on those with a mastery of library systems and information science to provide organization, data management and curation of information and materials. Here is the range of salaries librarians typically make within various industries. While those with a master’s in library & information science will likely be well prepared for a variety of librarian positions, students should keep in mind that additional licensure, certification or experience may be necessary in addition to a master’s degree. Even as information becomes more digital, libraries are still a trusted source of information within communities. According to the Bureau of Labor Statistics, librarians’ employment is estimated to grow at a rate of 9 percent from 2016 to 2026, which is the average for all occupations. Keep in mind that a degree can make a difference in salary. Advance degrees pay off in greater salary dividends. For example, according to the Center on Education and the Workforce, the median annual salary for a person with a bachelor’s degree employed in management information systems, under which library science falls, is $77,000. The same person with a master’s earns about $92,000 on average. The American Library Association (ALA) is the accrediting body overseeing master’s in library & information science programs. In order to be accredited, the degree program’s curriculum must meet several goals: foster development of library and information professionals who will go on to leadership roles in providing services and collections appropriate to the library’s communities, engage in ongoing development of knowledge with research from relevant fields, integrate technology and its related research and promote continuous professional development and lifelong learning, while teaching the skills needed for a library and information science practitioner into the future. Accredited programs must also document evidence of decision-making processes in order to improve programs and submit to review so that progress can be measured. Graduate students may be eligible for a form of federal student aid. The first place to find information on grants and financial aid is through the FAFSA program. The American Library Association offers numerous different scholarships and financial awards to students pursuing a MLIS degree. The scholarship encourages qualified individuals to enter the library and automation field and follow a career in that field. Individuals must demonstrate a strong commitment to the use of automated systems in libraries; and must be qualified members of a principal minority group (American Indian or Alaskan native, Asian or Pacific Islander, African-American or Hispanic). Applicant must be a U.S. or Canadian citizen or permanent resident. Attend ALA-accredited master’s program with no more than 12 semester hours towards MLS/MLIS/MIS prior to June 1st of year awarded. Awarded to library school graduates who are degree candidates in an area, other than law, which will be beneficial to the development of a professional career in law librarianship and who intend to have a career as a law librarian. Scholarship restricted to members of AALL.